Sleeeeep!! Mmmmmm we all need it, it’s a necessary part of mind and body function and for life. Yet living with persistent pain can really disturb our sleep. So we assume that pain is the culprit for disturbing our sleep, right? Well this may not be entirely accurate. The thinking on pain and sleep is changing, and compelling evidence is identifying some important physiological functions that occur when we sleep revealing that how sleep may have more of an affect on pain. 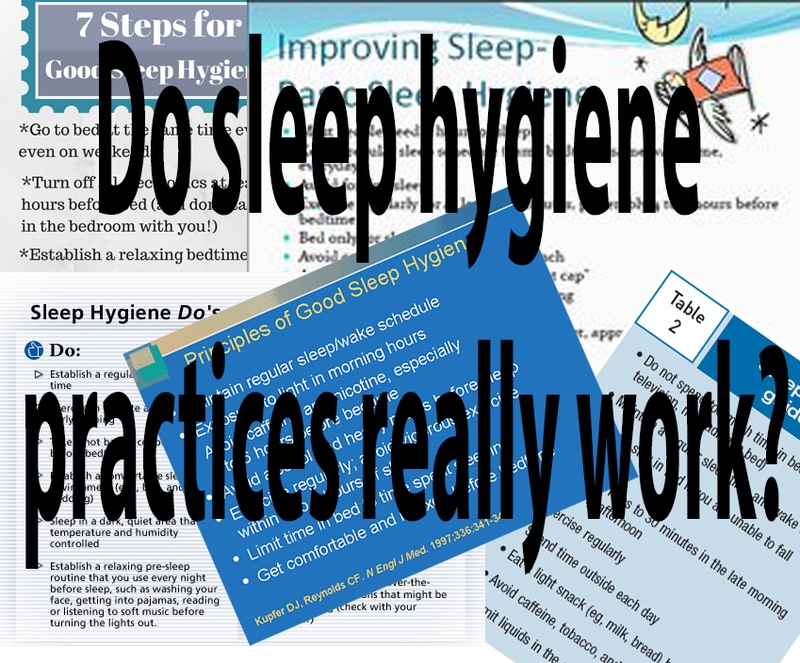 Sleep hygiene practices tend to focus on the physical aspects that could be contributing to sleep deprivation. Yes we could set up our room for sleeping and make sure we turn off our tablets an hour before we go to bed or have a shower, but in my experience, if there’s something on my mind or I’m concerned about something, no sleep hygiene technique helps. Addressing the issue behind your thoughts and concerns appears to be obvious yet many sufferers don’t think this way because pain is understood as a body experience and not a brain output and that our thoughts, worries and concerns contribute. A lack of sleep has been shown to cause an increase in cortisol levels throughout the day. Where cortisol should drop off during the day it remains elevated and can then disturb our sleep into the following night. This has an effect on our mood, vigilance and cognitive function (reference). Therefore having things on your mind or being concerned about your pain increases your cortisol levels resulting in a perpetuating cycle of sleep deprivation. Studies have been identifying how sleep is more of a contributor to elevated pain levels as opposed to presleep pain being a predictor of poor sleep quality. Tang et al, 2012 investigated a number of variables including sleep quality, sleep efficiency, pain upon waking and pain during the first and second half of the day. The study concluded that presleep cognitive arousal* was by far the best predictor of poor sleep quality and sleep efficiency with subsequent effects on pain the next day. In other words if you are worried or concerned about your pain or if you know that you will have a bad night’s sleep it is highly likely that this will be the case. As pain becomes more persistent it becomes more ‘hardwired’ yet we know with practice we can rewire the brain. It is also important to consider what might affect our sleep during our waking hours. Whilst we are awake the brain uses up a 1/4 of the body’s entire energy supply, and thus toxins build up in the brain like any other cell in the body through metabolic exchange. If we attend to our pain in a negative way, fear, concern, worry more specific neurotransmitters and hormones are released, such as adrenalin and cortisol which are more associated with elevated levels of stress. This can heighten our sensitivity and predispose us to increased pain levels. In the body, the lymphatic system is responsible for clearing metabolites out of the cells which are then expelled out of our body. It’s our bodies cleaning system. There is no lymphatic system in the brain, so the brain uses cerebral spinal fluid to clear the toxins that build up in the brain during the day, and yep you guessed it, this process only happens during sleep. Think of it as home cleaners coming in to clean your house whilst you are out at work. So the less sleep you get, the more this important process is impaired, or if you come home early and mess the house up again the cleaners won’t get their job done. So not getting enough sleep to help with your cleaning can increase your risk of pain and neurological disorders as studies have shown (reference, reference, reference). Well medication is something we use to tackle pain, plenty of my patients take medication before bed in an attempt to settle pain down in order to get a good nights sleep. Using medication can provide symptomatic relief to pain in order to help with sleep but this ultimately depends on several factors. Taking a pill to ease pain or inflammation is a very simplistic way of attempting to ease pain considering that it is in part an emotional experience but also heavily influenced by our beliefs. More and more people suffering with persistent pain are either looking to, or being over-prescribed medication (reference, reference) with serious complications. Interestingly it has been shown that non-opioid analgesia (what you and I know as ibuprofen or aspirin) can have adverse effects on sleep such as delayed onset of sleep latency, increased sleep disturbance, decreased sleep efficiency and slow wave sleep (SWS)** (reference, reference). Furthermore high levels of opioid use (such as tramadol, codeine or oxycodone) have similar effects as non-opioid analgesia but also could potentially have effects on respiratory depression and cause sleep apnea (reference). The table below shows the effects of medication on sleep. So we all know sleep is important, and it is becoming clearer that it plays a big part on pain experience. However how we commonly manage pain, through medication, also has a big impact on sleep. So it’s very easy to get ourselves stuck in a cycle, which is so commonly the theme with persistent pain. Melatonin has been identified as a helpful supplement to help regulate the body’s sleep cycle. Synthesised from serotonin and secreted by the pineal gland it is associated with the bodies circadian rhythm and important in initiating and maintaining sleep. Yet it is still under debate as to whether it can really help to improve sleep efficiency and sleep duration (reference). There have been a number of side effects associated with melatonin supplementation such as daytime sleepiness, dizziness and headaches (reference). So best to speak to your GP or medical professional. Tang et al, 2012, highlighted a multi-modal approach to pain related sleep insomnia. In particular, Cognitive Behavioural Therapy for primary insomnia (CBT-I) may have beneficial effects on the intricate relationship between pain, mood and sleep. This is further supported by Martinez et al, 2014 who looked at CBT-I versus a sleep hygiene (SH) education program. Granted this study looked at people with Fibromyalgia but it would make sense to extrapolate the findings to all people living with persistent pain particularly in the presence of cognitive processes such as worry, anxiety or concern. Tang et al, 2012 also found that Pain related insomnia has been shown to share similar physiological characteristics with sleep insomnia such as sleep duration, sleep efficacy, sleep disturbance and sleep latency. Furthermore, from some of the previous studies mentioned, it appears that presleep cognitive arousal has a significant impact on sleep and so addressing the thoughts and worries associated with pain and sleep may well help in combination with some sleep hygiene techniques. Approaches such as mindfulness where we explore our thoughts and emotions and try to rationalise those thoughts and emotions as helpful or unhelpful. Think of it as exercise for our sub-conscious and conscious mind. It is something that takes practice and with all forms of exercise changes don’t happen overnight. More research is needed and is currently underway regarding appropriate techniques for managing pain and sleep deprivation, however there does appear to be a consensus that a multi-modal approach is most effective. If you are having trouble with sleep due to pain please do discuss things further with your health professional or GP. Thanks for having a read. Your comments are always welcome.